Wouldn’t it be great if we could all feel comfortable in our own natural skin, so that every morning we could choose to wear less makeup and worry less about our overall imperfections? If you’re feeling like your skin could use a healthy boost, a microdermabrasion session could be very beneficial in restoring your skin’s natural balance. If you’ve ever thought about trying out microdermabrasion in Mississauga, here are five reasons why you should! Our microdermabrasion treatment in Mississauga can actually go a long way. You’ll notice after your first session that your skin will be softer, smooth to touch, and your complexion will be more even. This is because the process of microdermabrasion involves using a bristle tip that removes unwanted impurities that form in the top layer of the skin. Our bristle tip system effectively exfoliates, improves circulation and infuses the skin with skincare ingredients such as Growth Factors, Peptides and Vitamin C. With this all-in-one treatment, you can start seeing results almost immediately! If your goal with microdermabrasion in Mississauga is to combat specific imperfections like acne scarring, age spots and wrinkles, you will most likely need more than one session to achieve your desired results. Your DermaSweep specialist will work with you to determine the right amount of treatment sessions for your specific case. 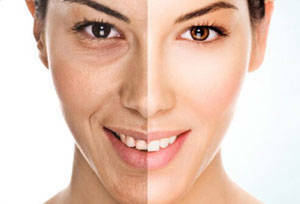 Microdermabrasion is an effective and virtually painless way of taking care of your skin without the need for surgery. You can rest assured that when you come for a treatment at DermaSweep that you’ll have a gentle treatment packed with the most powerful ingredients. Our microdermabrasion treatments in Mississauga use different kinds ingredients to reverse damage from the sun, aging, acne and issues with discolouration and pigmentation. It will also help minimize and clear large or clogged pores, help with oily skin and rectify fine lines due to an early onset of aging. The results? Soft, supple, clear and brightened-up skin! Collagen production is essential to firm and healthy skin. Microdermabrasion has been proven to improve the appearance of these elastic fibers as it stimulates thicker and more tightly packed collagen bundles. If you get a microdermabrasion treatment in Mississauga, it will not only work on the appearance of your skin, it will also impact the internal health of your skin. Aside from stimulating collagen production, it can enhance lymph flow and blood circulation. 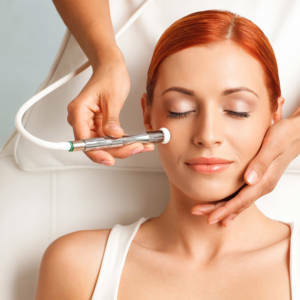 Microdermabrasion seeks to remove dead skin to rejuvenate the skin in other areas aside from the face. It’s possible to have treatments on our neck, hands, arms and other parts of the body. Many people opt to try microdermabrasion as a solution for stretch marks, pigmentation problems and wrinkles. Just ask your DermaSweep specialist about your options. Whether your skin is looking a little dull or you want a deep restoration, get in touch with us today to book your first microdermabrasion session in Mississauga!